The log has turned gold. And into a pin. 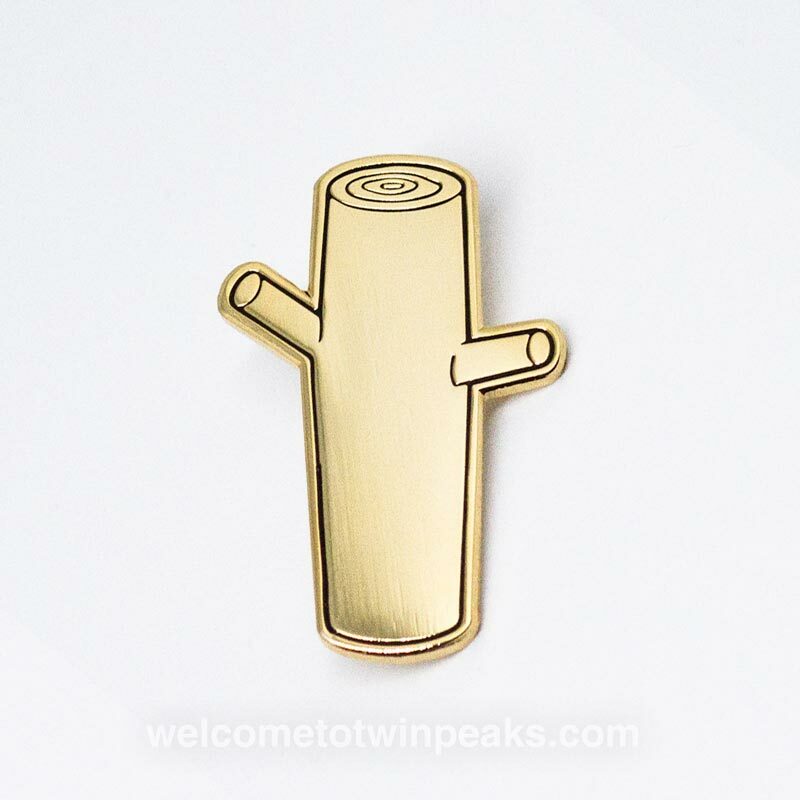 Discovered in a crib inside Margaret Lanterman’s log cabin deep into Ghostwood Forest, this limited edition lapel pin comes in black and gold metal with a butterfly clutch, and measures 1.5″ (38.1 mm) by 0.96″ (24.3 mm). Give yourself a present… and add one or two extra (or any other pins) as a gift without increasing shipping costs. A portion of the proceeds go directly to the Catherine Coulson Fund by the Oregon Shakespeare Festival Association. Hard enamel pin in black and gold metal with a butterfly clutch. Measures 1.5″ (38.1 mm) by 0.96″ (24.3 mm). 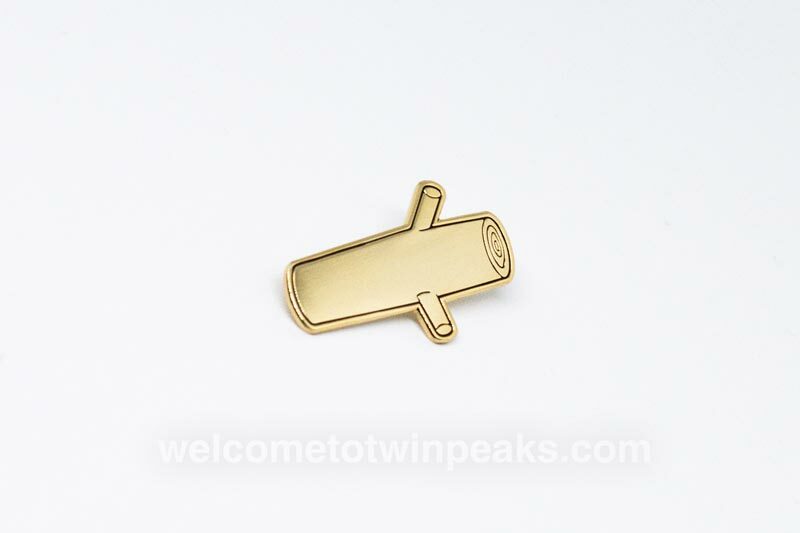 Enamel pins need to be shipped in padded envelopes and therefor shipping outside the U.S. isn’t cheap. 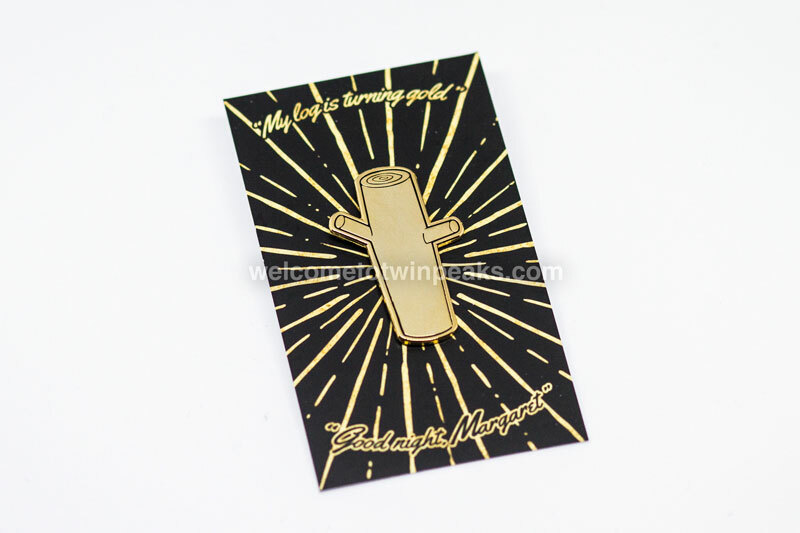 However, ordering multiple pins won’t affect the flat shipping rate. Really gorgeous & a great tribute to the character & actress.